As is traditional, we are running a knockout tournament based on your hashfootery predictions - our very own FA Cup, if you like. The knockout tournament uses your scoring from our main competition, so you don't need to do anything extra to take part. 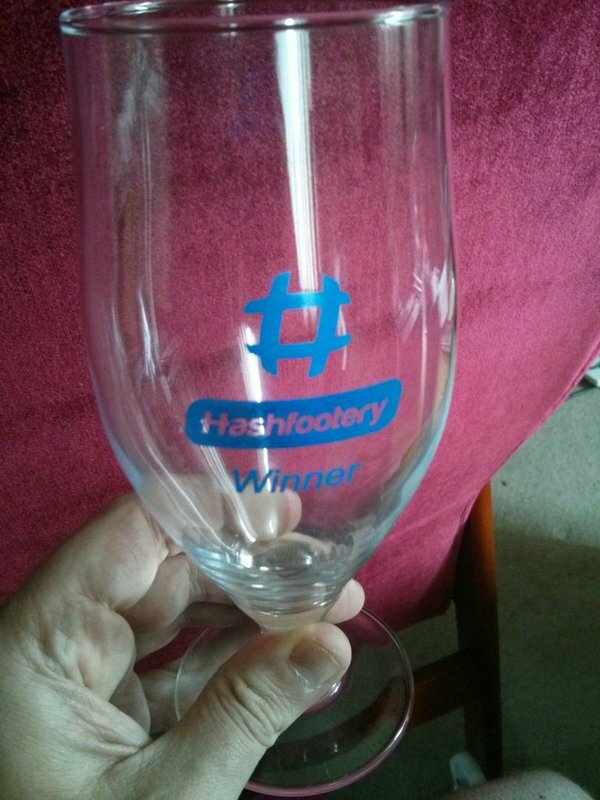 All hashfooterers from this season will qualify for entry to the draw (we currently have less than 64 players). The winner of each head-to-head pairing will be decided on points scored over a calendar month and will progress to the next round. The winner will receive an impressive and functional trophy, like the one pictured right. If the number of qualifying hashfooterers is less than 64, some will draw a "bye" into Round 2. One single open draw determines the order of pairings for all rounds in the knockout. The draw will take place at the end of November and the resulting pairs will be posted on Twitter and be available to view on this page.